Investigative journalist & NY Times Bestselling author of The Smartest Kids in the World & The Unthinkable. Conflict, whether political or personal, can escalate and become toxic. At this level, known as "high conflict," we start sorting the world into good and evil, us and them. Things become suddenly very clear. Our brains behave differently. We tend to exaggerate the differences between ourselves and the other political party or racial or religious group (or sibling or co-worker), without realizing we are doing it. We believe the other side cannot change, even when it can. We lose valuable skills. It’s impossible to feel curious, for example, while also feeling threatened. To try to understand how to communicate in times of discord and division, Amanda spent a year following people who navigate conflict in different ways--including psychologists, rabbis, peace negotiators, and conflict mediators from all over the world. She discovered that it is possible to revive complexity and curiosity, even in high conflict. But the traditional methods of explaining, arguing or avoidance will not work. 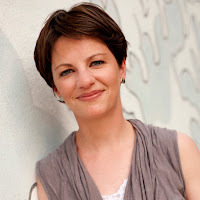 Drawing on stories of people in all kinds of conflict, as well as research into human behavior, Amanda has developed specific rules of engagement for high conflict--including smarter questions to ask any opponent, better ways to share information that people don't want to hear, and conversational tactics to excavate deeper, more interesting truths. This work is surprising and ultimately hopeful, and it has transformed how Amanda operates as a journalist. Her major book on this theme will be published in 2021. How did other countries manage to make their public schools fairer and smarter than ours while spending dramatically less than we do? To find out, Amanda spent a year following three American high school students temporarily embedded in schools in Finland, Poland and South Korea. Through the students' stories and new research into education outcomes worldwide, Amanda helps unravel a mystery at the center of our global competitiveness. Her reporting led to the New York Times bestseller, The Smartest Kids in the World. In the end, Amanda returned home more optimistic than when she'd left--convinced that the U.S. can outperform the rest of the world, if we can sustain the political and public will. Amanda Ripley draws on years of disaster reporting to explain the three phases most people go through in life-or-death experiences—and how we can learn to do better. She tells detailed stories of specific survivors from recent news-making calamities and combines their wisdom with the latest science into how the brain functions under extreme stress. Presentation features: Case studies from the evacuation of the World Trade Center on 9/11, the 2004 tsunami and the 2009 crash of US Airways Flight 1549 in the Hudson River. Amanda Ripley is an investigative journalist for The Atlantic and other magazines. She is the author, most recently, of The Smartest Kids in the World--and How They Got That Way, a New York Times bestseller. 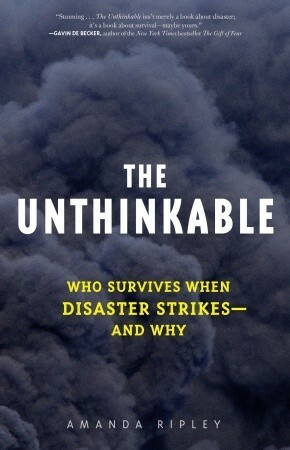 Her first book, The Unthinkable: Who Survives When Disaster Strikes--and Why, was published in 15 countries and turned into a PBS documentary. In her books and magazine writing, Amanda explores the mysteries of human behavior using science and storytelling. What makes conflict so magnetic, whether it’s personal or political, and how do some people manage to break free of its grasp? How does the brain learn--and how does that compare to what children do in school all day? For Time Magazine and The Atlantic, she has written cover stories on the college of the future, the politics of education reform and the science of motivating children. She has visited schools on four continents and interviewed hundreds of students, teachers and parents. She is currently working on a major book about human behavior in conflicts of all kinds. By telling stories that people remember, Amanda brings life to complex research that can change the way we think about the world. 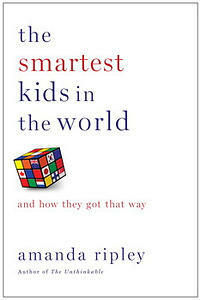 The Smartest Kids in the World was cited as one of the most notable books of the year by the New York Times, the Economist, the Washington Post and Amazon.com. Amanda's writing has also appeared in the New York Times, Politico, Slate, the Wall Street Journal, and the Times of London. Her work has helped Time win two National Magazine Awards. To discuss her writing, Amanda has appeared on ABC, NBC, CNN, FOX News and NPR. She has spoken at the Pentagon, the Senate, the State Department and the Department of Homeland Security, as well as conferences on leadership, public policy and education.